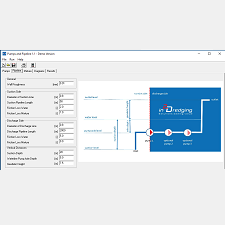 Half a year ago, in2Dredging (i2D) launched the suction and discharge productions estimating tool Pumps ‘n Pipeline (PnP) version 1.1. Users from around the world, and various stakeholders in the dredging industry, provided i2D with valuable feedback. The feedback has been included in this latest version of PnP. PnP v1.2 allows for a few additional features to save even more time and reduce the risk of omissions. PnP v1.2 will be released in August 2017 after the software has been thoroughly quality assured and its documentation has been updated. 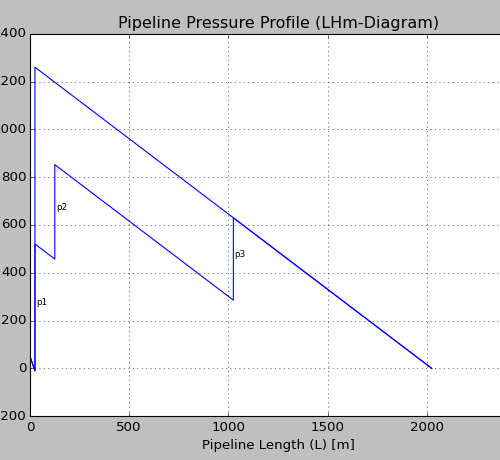 This profile directly shows the incoming pressure of the 2nd pump (p2), and facilitates the positioning of the booster pump (p3). Both pumps are shown in Figure 1 below. Direct input of the rainbow nozzle’s diameter enables easy determination of the optimal operating point for maximum discharge production as well as the beam’s minimum required range. Clay balls are formed when the clay does not dissolve in water. These balls significantly reduce the discharge production and it is therefore critical to include this phenomenon into estimates involving hard clay, or at least to be aware of the possible risks they may pose. This feature allows input of the underwater pump configuration and quickly checks the suction production with shallow suction depths.